The leadership and members of the the National house of Chiefs have pledged their support to the President and his government after they paid a courtesy call on the President today at the flag staff house. The Chiefs lead by the President of the National House of Chiefs, Togbe Afede, expressed their unwavering support and commitment to the agenda of the Akufo Addo administration. Addressing the Gathering, Togbe Afede called on all Ghanaians not to be apathetic in anyway towards the Akufo Addo government but to rather support the government in every small way to ensure that the development agenda of the government is achieved to the benefit of all. He hinted that the National House of Chiefs have set up and approved 6 committees namely, ( Research and international affairs, land natural resources and environment, finance and infrastructure, external relations, legal affairs, and governance and development) that have been tasked to mobilize chiefs all over the country to liaise with the government and state institutions to ensure that Chiefs play a very active role in the development agenda of the government. 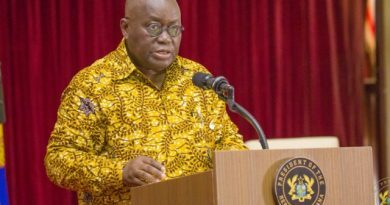 In a response, the President Nana Akufo Addo, welcomed the fellowship of support extended to him by the National House of Chiefs. 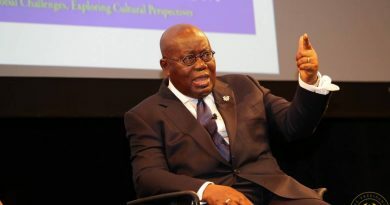 He re-emphasised the need to find an effective way for Political leaders and traditional rulers to collaborate to address the challenges the people of Ghana are faced with. In this regard, the President welcomed the efforts and strategies put forth by the house of chiefs to develop a strong front between the Presidency and The various houses of Chiefs in the country. The president further stated that the issue of entrepreneur development is a make or break issue for him and his government. 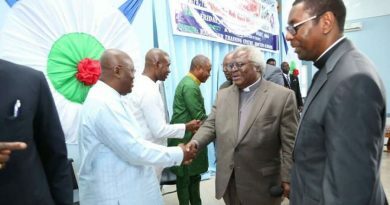 He emphasized that all necessary efforts are and will be made to development the Ghanaian entrepreneur. ← Ghana’s Senior National Football Team Coach Avram Grant Has Resigned.